October favourites | Six Feet Under | The Fair Fight | Lumberjanes + Giveaway! It’s November! This week is the publication of The Next Together in Australia and my friend Alice Oseman’s e-novella This Winter! To celebrate, Alice and I are doing a giveaway of signed copies of our books . . . with a twist. Both books will be annotated by each other! The winner will receive a copy of Solitaire signed by Alice and annotated with notes by me, and a copy of The Next Together signed by me and annotated by Alice (with maybe a few drawings too…). You can enter the giveaway (which I want to win myself tbh…) by reblogging this tumblr post. I didn’t know much about this series before I started it, but I was in the mood for some black humour after reading a lot of horror for Hallowe’en, so I gave it a go. And it’s so good! I can’t even choose a favourite character because I just love the whole family so much. I’m really looking forward to finishing my edits on The Last Beginning so I can properly marathon the whole thing like it deserves. I’m mad into this app. It’s like minecraft, if minecraft was a 2D crafting game. It’s addictive and logical and great for long train journeys (of which I have many). This comes blurbed by my fave Sarah Waters and recommended by my friend Charlie (who I interviewed here) so I was willing to read it based on that alone. But it’s also about female Victorian boxers! Add to that excellence a lot of diversity, drama, smallpox, vices and females manipulating men to get what they want, and it’s the best book I’ve read in ages. I’m going to see this band live next week, so I had to include them for that reason alone. I can’t wait to see what kind of crowd turns up for this lovely folk-y band. Listen to Organs, which is my song of the moment for book 4, which I’m writing soon (AS SOON AS I FINISH MY EDITS, PROMISE). This is a super cute and whimsical comic about a group of girls at a camp where magical, evil things start happening. It’s very upbeat and modern and diverse and I’m in love in a big way. Volume 3 isn’t out until April and I’m SO READY. This is a website for writers, recommended to me by Ava Jae (who has basically the best writing blog ever, and her first book isn’t even out yet! That’s skills.) 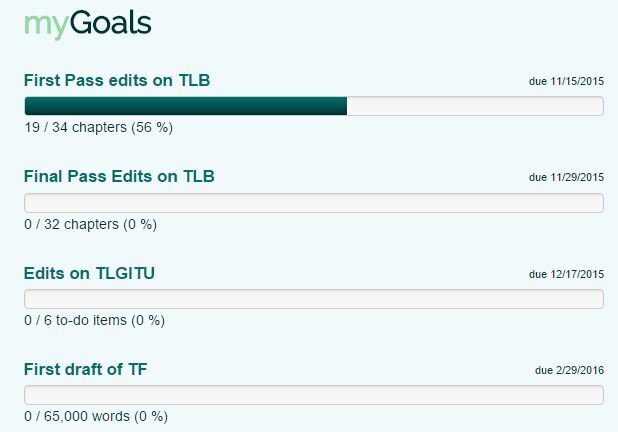 It lets you personalise goals for writing or editing, and since I started using this site, it’s become a vital part of my writing routine. It has a lot of the same features as the NaNoWriMo website, but it’s available all year long and has less pressure. It helps me keep organised, stops me feeling overwhelmed or panicking about how little time I have left to do things. Here are my current goals. If you use it, you can add me as a friend here. In other news: You can enter a raffle to win a signed copy of The Next Together and lots of other amazing prizes to raise money for the charity Mind here. The Next Together was included in an Australian subscription box The YA Chronicles for the October theme of ‘time and time again’! It came with River Song’s journal, a time turner and some ‘timeless hearts’ bath melts and honestly it just looks incredible! I’m a little jealous! Finally, good luck to everyone doing NaNoWriMo this month. The Next Together started out life as a nano, so if I can do it, you can too! 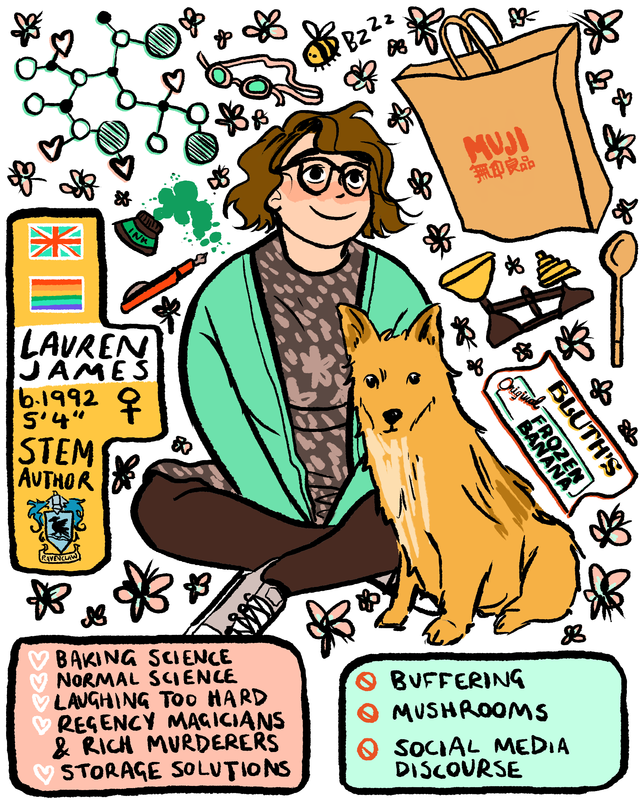 This entry was posted in favourites and tagged lumberjanes, mywriteclub, of monsters and men, six feet under, the fair fight, the ya chronicles on 04/11/2015 by Lauren James.